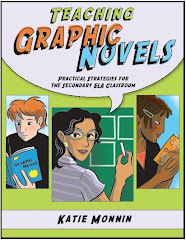 Teaching Graphic Novels . . . . A Finalists for ForeWord's Educational Book of the Year! 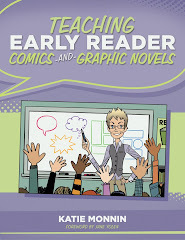 THANK YOU SO MUCH to the people of ForeWord for recognizing Teaching Graphic Novels as a Finalist for Educational Book of the Year!!! 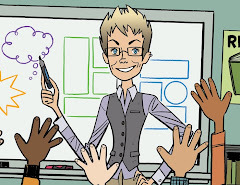 Diamond Comic Distributors & Graphic Novel Reviews for Your School! 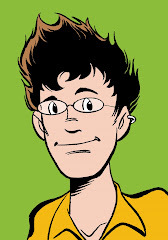 For the past 3 months, the amazingly-awesome people at diamond comic distributors have allowed me to recommend and write graphic novels for your schools. Written especially for educators, these reviews contain: alignment to the standards, suggested reading and writing strategies, and ideas for pairing with traditional literature. This month's feature titles are a modernized, contemporary story from Archie and pals at Riverdale High, and, also, The Engineer: Konstrukt by Brian Churilla and Jeremy Shepherd.